Details: Sign up if you own a shop and send a nice package full of shop goodies. 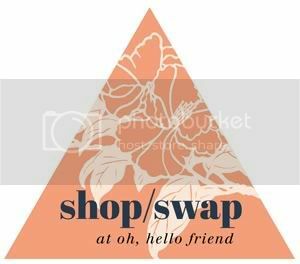 Your shop does not have to be limited to handmade items. 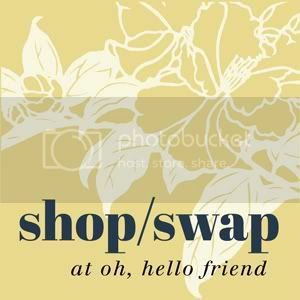 You will be paired with 1 swap partner based on the aesthetic of your shop. Dates: Sign ups will close on February 7th or if we reach 100 people, whichever comes first. Partners will be issued by February 10th and please have your package sent by February 29th. Overseas: Friends with shops in international countries are invited to participate, but please note if you are interested in sending overseas or not. What sort of things do you sell? Are you interested in sending overseas? 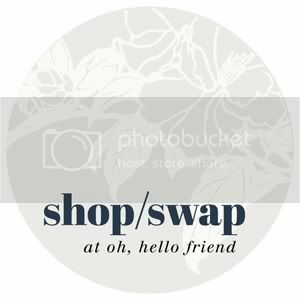 Would so appreciate if you could pass the word along at your blog :) Post a button to show you're participating in the swap!